Heat, Rain, Hurricanes, Floods, Tornadoes, Drought, Oh My! What About Climate Policy and Politics? 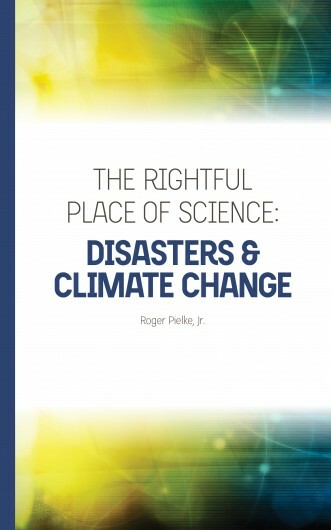 Roger Pielke, Jr. has been on the faculty of the University of Colorado since 2001 and is a Professor in the Environmental Studies Program and a Fellow of the Cooperative Institute for Research in Environmental Sciences (CIRES). At CIRES, Pielke served as the Director of the Center for Science and Technology Policy Research from 2001-2007. Pielke’s research focuses on the intersection of science and technology and decision making. He is author, co-author, or co-editor of seven books, including The Honest Broker: Making Sense of Science in Policy and Politics, published by Cambridge University Press in 2007. His most recent book is The Climate Fix: What Scientists and Politicians Won’t Tell you About Global Warming.